IF A TICKET OR PACKAGE DOES NOT SAY 'SOLD OUT', IT'S NOT SOLD OUT!!! ORDER AWAY!!!! The feeling of being in a lot WITHOUT the hassle of bringing food, cleaning up, or begging to use someone’s RV to take care of your morning business!! In case you didn't already know, the best fans of any professional sports team are Philadelphia fans! That's where we come in! The Green Legion is your number one choice for the best Philadelphia Eagles Away Game Packages and Trips! We specialize in making affordable, fun, away game packages so fans can travel to see the Birds in style! It's not just your transportation and hotel stay... We provide EXCLUSIVE bar specials, an "Un"Official Pep-Rally Party and a fully-catered tailgate party with all-you-can eat food and all-you-can drink beer. But that's not all... We also throw one of the best home tailgates in South Philly before EVERY Eagles home game, providing The Green Legion experience both at home and on the road. After 14 years, we know how to run away game trips and tailgates! 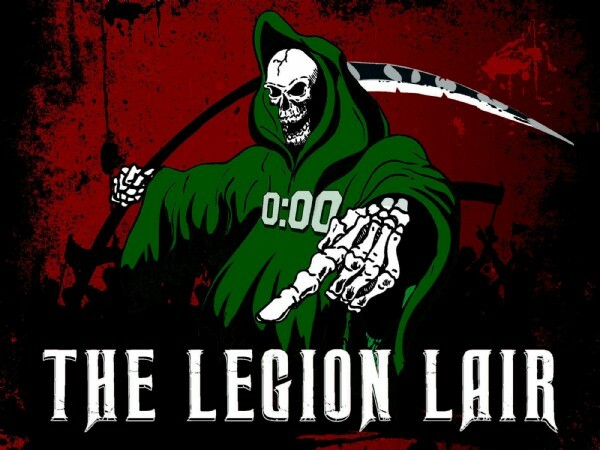 Travel with the most unstoppable force in professional sports, The Green Legion!! View More Events Organized by The Green Legion. The Green Legion is your number one choice for the best Philadelphia Eagles Away Game Packages and Trips! We specialize in making affordable, fun, away game packages so fans can travel to see the Birds in style! This event is organized by The Green Legion.